Most people probably heard of crowdsourced funding platforms like Kickstarter or Indiegogo. There are of course many other similar platforms all over the world that help budding entrepreneurs or generally people with new/good ideas to fulfil their venture. 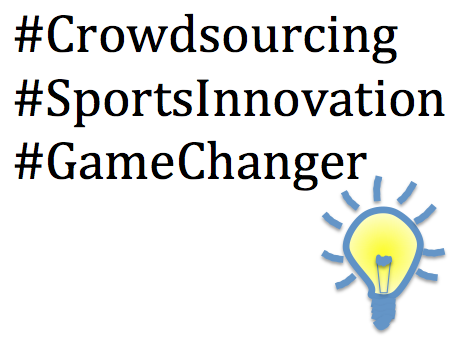 I wrote a little about crowdsourced funding for sports technology a year ago and since then, there has been a LOT more innovative sports tech products that went the crowdsourced funding way. Some of them were also mentioned on this blog, like wearable activity trackers, swimming technologies, smart sports equipment with sensors and tech that prevents sports injuries. Like I said, there are LOTS more sports technology that are on those platforms and I reckon Kickstarter or Indiegogo should just start a new category called Sports Technology. If you follow DCRainmaker, you will probably notice that he has set aside a section for athletic crowdfunded projects on his weekly reviews. Now, it sounds like its just the sports innovators and entrepreneurs putting themselves out there, seeking random funding and investors, but things are starting to change. Nike is running their own innovation program starting early next year (also for a second time). Focused around the Nike+ fuel band, Nike launched the Nike Fuel Lab. So if you have an idea of a product or service that could integrate with Nike Fuel (and “help millions of people be more active”), Nike is inviting you to submit your idea by 20th Jan 2014 (no business plans required). 10 of those submitted ideas will then be selected for a 12-week program (in San Francisco) where the 10 teams will be given access to the Nike+ APIs and SDKs and coached to further develop their products/services technically as well as from a business point of view. Finally, at the end of the 12-weeks, a Demo Day will give the ten teams an opportunity to present their product concepts to the Nike leaders, industry leaders, angel investors and venture capitalists. To get a rough idea of how it’s like, check out the below video of their inaugural program called Nike+ Accelerator that just ended a few months back. I think by now we all get a gist of what’s going on here, my point is, sports companies and organisations are starting to look for innovations outside of themselves. They obviously recognise that they don’t have all the answers (even with their engineers and scientists working hard in the labs) and they probably noticed that there are many innovators/creators/makers out there with ideas but not enough resources to bring it to fruition. So they start their own crowdsourcing – Set up a stage/platform to draw innovations in, pick out the good ones (ones that can make money), invest in them and push them into the market! Sure, it’s not a new concept and they sound like a spoof of Dragons’ Den (or other programs..) but it’s churning out sports innovations and I think that’s awesome! Lastly, for those of you who have innovative ideas for technology in sports, why not give these competitions a shot. The ASTN pitching competition will probably run again next year, check out their website for details*. The Nike+ Fuel Lab has a submission deadline on 20th Jan 2014 and the deadline for the UA Armour39 challenge is 15 Nov 2013. Even if you don’t win the competition, I reckon you still gain some interesting experience. Or if you are not one who likes to “show off” in public, Under Armour also set up an online tool for people to submit their ideas, and they will work with you to develop it if they find it has potential. So what are you waiting for? Like what the 10th Doctor always says: Allons-y! *the ASTN pitching competition is currently only open to people living in Australia.